My latest 3D rendering! The foreground landscape is a Vue “metablob” with fractal displacement applied to it. 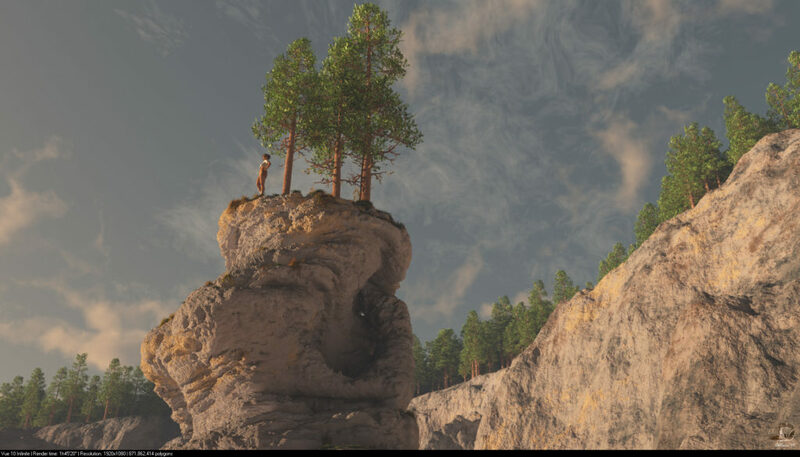 The figurine standing on top is Daz3D’s “Genesis” figure.